For those fans of James Patterson’s Maximum Ride series, you’re in for a treat. You might’ve thought the series ended a while back, but it seems it’s far from over. Not only is there going to be another novel titled Maximum Ride Forever, which comes out May 2015 (pushed back from January 2015), but now Patterson has joined with Marvel in creating a comic book series from the franchise. 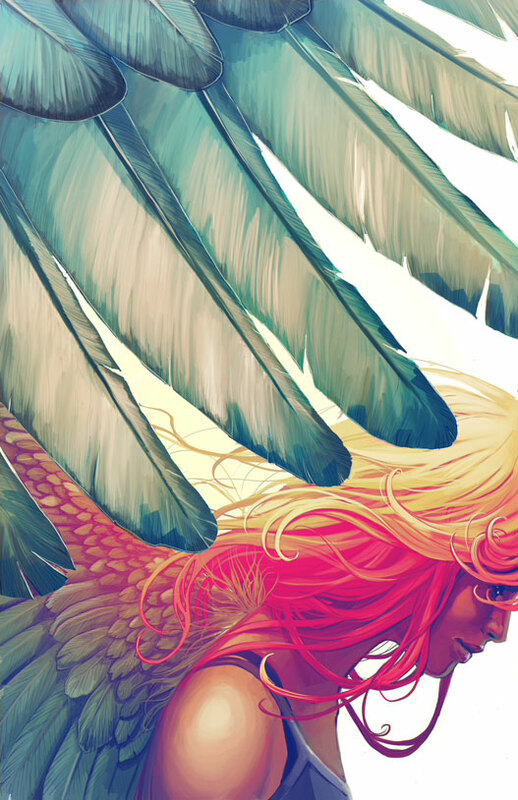 James Patterson’s Max Ride: First Flight will feature the talents of writer Marguerite Bennett (Angela: Asgard’s Assassin, Amazing X-Men) and artist Alex Sanchez (Elektra) and will follow the fast paced adventures of Max, a teenage girl who, due to genetic tampering, is part human and part avian and Marvel Comics is set to elevate Max and her “flock” into an even bigger pop-culture property. It will be released as a 5-part mini comic book series, and will come out in the Spring of 2015. Yes, we know there’s also a manga version of the Maximum Ride series, but hey, who says there can’t be multiple formats, right?